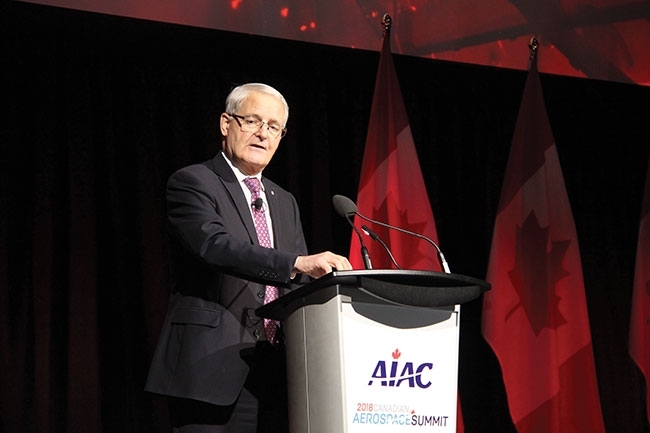 Marc Garneau, Minister of Transport, in December introduced changes to the Canadian Aviation Regulations to improve air travel safety for passengers and flight crews. The changes, as described by Transport Canada, introduce: Prescribed flight and duty time limits that respect modern fatigue science and international standards to limit the amount of time a crew member can be on the job; and Fatigue Risk Management Systems that allow operators to set flight hours based on their unique operations if they can demonstrate that alertness and safety will not be affected. The government asserts the past regulatory regime did not reflect the scientific principles and knowledge on fatigue discovered over the last few decades. The new regulations focus on three primary Transport Canada objectives, in relation to flight duty limitations and rest time, including: Introducing the concept of Fit for Duty and alternative Fatigue Risk Management Systems (FRMS); increasing Canadian Aviation Regulations compliance with ICAO Standards; and reducing existing gaps with other jurisdictions like FAA and EASA. Transport Canada provided some room for implementing these new regulations, as Canada’s major airline operators will have two years to implement the new requirements. Smaller and regional operators will have four years to comply. Transport Canada also aims to support and work in close collaboration with northern and small air operators during the implementation of these regulations. “We welcome the Minister’s announcement outlining the move to new flight and duty time regulations. Utilizing scientific principles on fatigue will provide prevention and mitigation while aligning with international standards and best practices,” said Scott Wilson, VP of operations, WestJet. Capt. Dan Adamus, president of the Air Line Pilots Association, which represents WestJet pilots, also noted the importance of leveraging modern fatigue-related science for safety. “While the regulations announced [on December 12] do not address all of our concerns and recommendations, they are a significant improvement over the current rules and will improve aviation safety,” he said. Air Canada Pilots Association, which represents more than 4,000 professional pilots across Canada who fly a majority of Canadian overseas flights, described the new rules as unfair. “To say that we are profoundly disappointed is an understatement. These substandard rules leave a two-hour gap between the maximum flight time for Canadian pilots flying at night, compared to what’s recommended by NASA’s Ames Research Centre, and two and a half hours longer than what U.S. pilots are allowed to fly,” said Captain Matt Hogan, chair of the ACPA Master Elected Council. On the rotary-wing side, Fred Jones, president and CEO of the Helicopter Association of Canada (HAC), describes the new Flight and Duty Time regulations, in their current form, as a potential catastrophe for Canadian commercial helicopter operators. Jones points to issues like Transport Canada deleting the “zeroing provisions”, which allowed flight crew members to erase accumulated flight time after five days off. He also points to new Time Free from Duty Provisions requiring 36 hours off in seven days, and three days off in 17 days. “This eliminates the potential for a pilot to provide continuous service to a camp for more than six days, consecutively. As a result, operators will provide shorter periods of time-off in camp, rather than more extended periods of time-off at home,” shares Jones. HAC also has concerns that Tour Lengths will likely be reduced to 14 days, from a maximum of 42 days, when the industry norm is roughly 21 to 28 days; that new Flight Time Limits are considerably more conservative – down from 150 hours in 30 days in the current rules to 120 hours; and that New Cumulative Duty Hour Limitations will limit the Duty Day to 70 hours in any seven consecutive days (with conditions).